This is the extensive enterview that Ed Morrissey of Hotair.com conducted with Marco Rubio on June 2nd 2009. Many issues are discussed. Speaker Rubio dismisses the NRSC's choice of Crist as candidate for Florida US Senate and he says that the voters will decide. Rubio expresses his belief that you can not ignore your principles simply because you desire to achieve victory and goes on explain the differences between himself and Crist on the issues of abortion and the 2nd ammendment. Some of the other topics covered include the stimulus,cap and trade, and securing the borders. Rubio supports drilling off the coast of Florida. Here is the audio. You need to click forward on the progress bar to the 32:00 mark and then listen to the 25 minute interview. 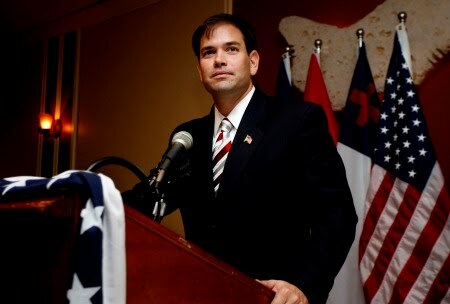 It is well work the time if you want to know more about Marco Rubio.